Peace, Love and Ice Cream! : Check me out on Miles To Go! I'm writing probably the quickest post I've EVER written! I should be sitting down to fill you in on my recent runs (I'm up to 10 miles! ), the amazing Ultimate Mom's Night Out that I attended last month or the very cool Kangoo Jumps International Fitness Festival that's happening this weekend...but that will all have to wait until this lady has a TAD more time! 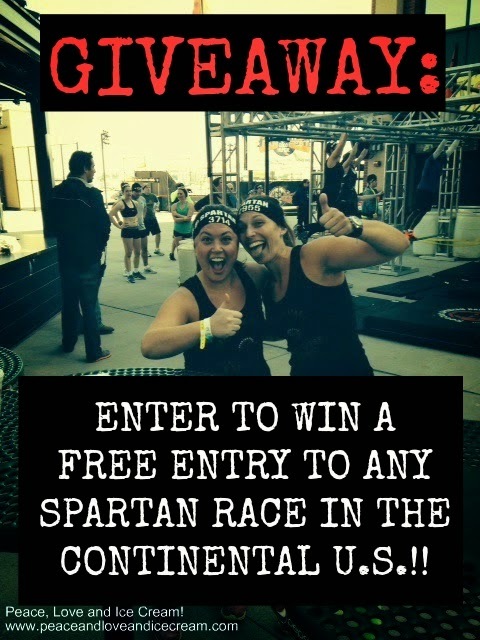 (1) REMIND you that my Spartan Race giveaway ends tonight at midnight EDT!!! (2) SEND you over to my friend Kelly's blog, Miles To Go! I'll be back tomorrow with THE BIG WINNER & more!!! !